is a pathogenic virus that belongs to genus trichovirus in the Betaflexiviridae family. ACLSV has flexuous filamentous particles that encase a single-strand positive-sense RNA genome. Although natural transmission of the virus is limited due to ineffective vectors, it is easily transmitted mechanically and through grafting. The infected plants show various symptoms such as chlorotic blotches (distributed roughly in young leaves), asymmetric leaf distortion, puckering and line patterns in leaves, and slow shoot growth. The ACLSV infection leads to reduced tree vigor and reduction in yield. 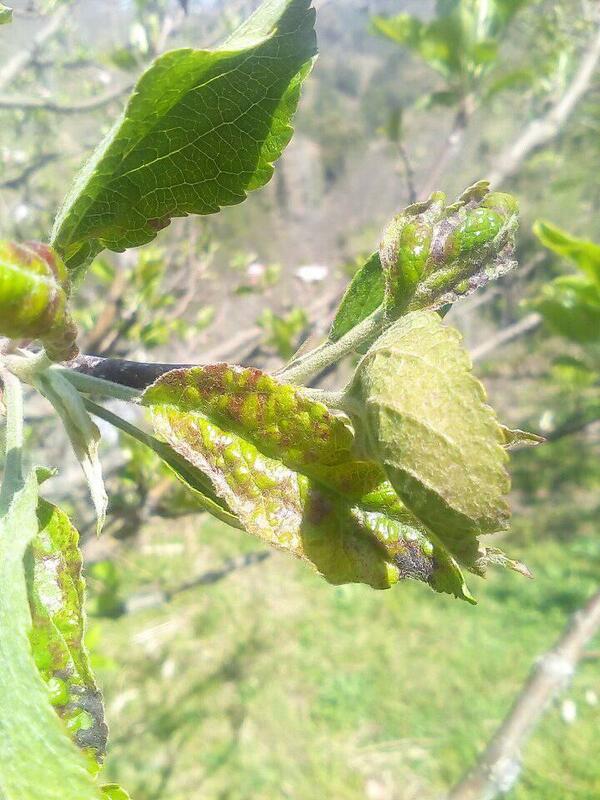 In addition, the virus can adversely affect fruit quality (if symptomatic). Considering that the virus dissemination is limited to grafting, planting virus-free plants can be highly effective. Simultaneously, it is important to take other preventive measures and steer clear of contaminated substances. Since there is no known way to directly treat ACLSV infection in plants, it is best to purchase planting and grafting material from a licensed nursery.